Karnataka Chief Minister H D Kumaraswamy asked why there were terror attacks now while it had never occurred when his father HD Deve Gowda was the Prime Minister. "Why were there no instance of terrorists carrying out blasts or killing anyone when Deve Gowda was the Prime Minister? Why are they happening now? You need to think over it," he said at a public meeting late Friday night at Mysuru. "Prime Minister (Narendra Modi) needs many layers of security to go to Kashmir, but if there was any Prime Minister who went to the Indo-Pak border in Jammu and Kashmir in an open jeep, it was honourable Deve Gowda. You should not forget this fact." Speaking about the rising tensions between India and Pakistan, Mr Kumaraswamy said he was not sure where it would lead to. Slamming the BJP for the manner in which they were celebrating the preemptive air strikes by hoisting victory flags, he alleged this was only creating an atmosphere of strife between two communities. "They are hoisting the victory flags as if they themselves flew the aircraft and carried out bombing inside Pakistan. It is misusing a situation for vested interests." 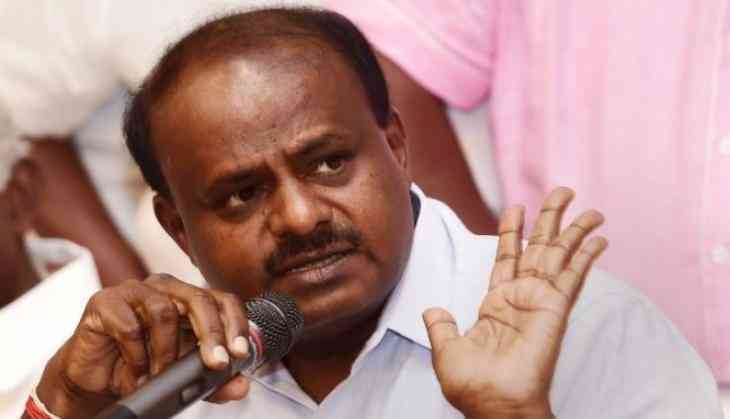 Cautioning people against the BJP, Mr Kumaraswamy said cadres of that party were behaving as if they alone were the saviours of the nation and nobody else. "Beware. They are misusing innocent minds," he said. CM @hd_kumaraswamy avare just reminding, you are a CM of an Indian state & not Pakistan. This statement completely exposes the anti India mindset of #Mahaghatbandhan." Mr Kumaraswamy, in his rebuttal, tweeted "Shame on you @BJP4Karnataka for misleading the people by editing & twisting my statement against the BJP to suit your ulterior motives. In my original speech, I had said "BJP leaders are bragging as if they themselves did the attack and not our army." You edited out the term BJP."